Information: Prof. Lili Oraham Taymourazi (1900-1992). Lili Taymourazi was considered "The Mother of Assyrian Folk Dancing." From an article by Madlaine Davis Moradkhan, Nineveh Magazine 16:4 (1993). 1900  Born in Urmia, Iran to Mr. Yonan Oraham of Siri, and Maryam Gewargis of Anhar. 1915  Orphaned when her farther died. 1916  Brother went to the United States to continue his education, Rest of family moved to Tabriz. 1917  Graduated Fiske Seminary (an American Girls School in Urmia), Married Dr. Benyamin Teymourazof, an Army physician who worked in Sharifkhana, fled to Georgia because of the Russian retreat. Graduated from the Institute and taught Assyrian to children. Returned to Iran, assisted husband, became active in the Assyrian educational and cultural activities, and attended the Asian Free University. Studied ancient Iranian relics and monuments. 1939  B.A. in Geography, dissertation on the homogeneity of cultures concluding that uniform ecological and social conditions lead to homogeneity of cultures and civilizations of different peoples. 1954  Husband died. Moved to Tehran with her children. Founded the Assyrian Ladies Association to help the Assyrian Motva (Association). Raised twelve thousand Tomans, nearly two thousand dollars, to help the "Shooshan" Assyrian school. 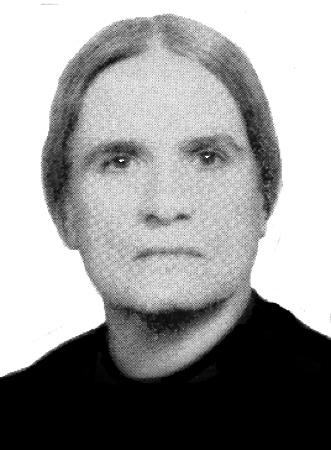 1957  Honorary Ph.D. from the Asian Free University for studies of the geographical, historical and human aspects of ancient Iranian relics. Elected honorary professor of the Asian Free University. 1957-1980  Founded and trained Shamiram Folkloric Group, consisting of dancers, singers, and musicians. 1980  Iranian Islamic Government forbade dancing and singing in public. The group became a permanent member of the Iranian Ministry of Fine Arts and presented many televised productions. 1957-1961  Enabled Rickey Holden to produce phonograph record and booklets "Assyrian Folk Dances" (Folkraft Records, Newark, N.J.). 1960  Awarded diploma by International Federation of Scientific Research Societies. Served as the vice president of "Congres Mondial Des Savants." Member of the "Conseil Academique International Jubilaire" and "Academia Asiatica." Awarded other diplomas, awards of merit and medals. 1962  Further information published by Rickey Holden in Viltis, December 1962. Wrote autobiography and other books in Assyrian, including books of stories and poems for children. 1992, August 16  Died of a heart attack at 92. Survived by daughter Ophelia, sons Tamraz and Sardanapal, and many grandchildren.